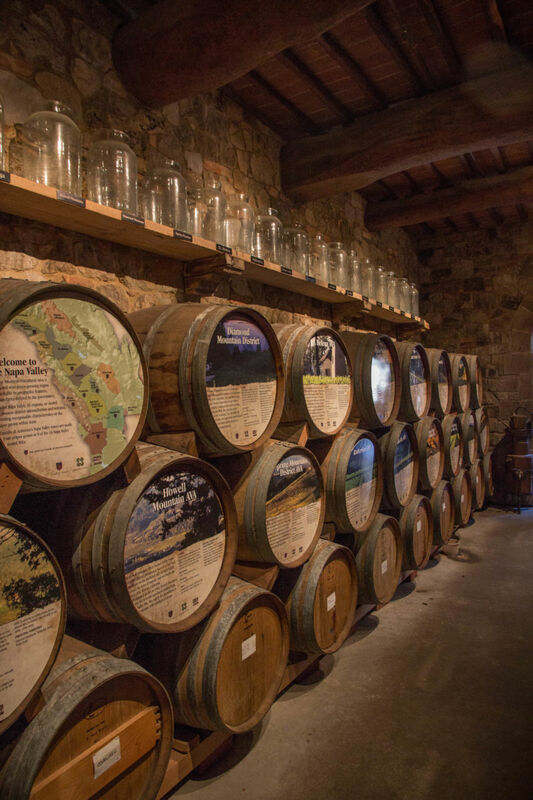 One cannot talk about Napa these days without mentioning some of the iconic wine related activities to explore. 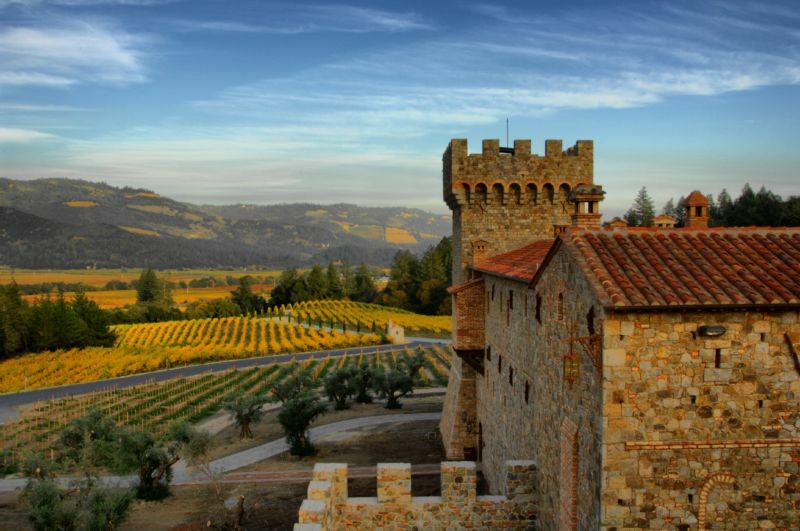 We wrote about the Wine Train, we have posts about some of the most famous Napa restaurants, but it would be incomplete without writing about Napa’s very own Italian castle. 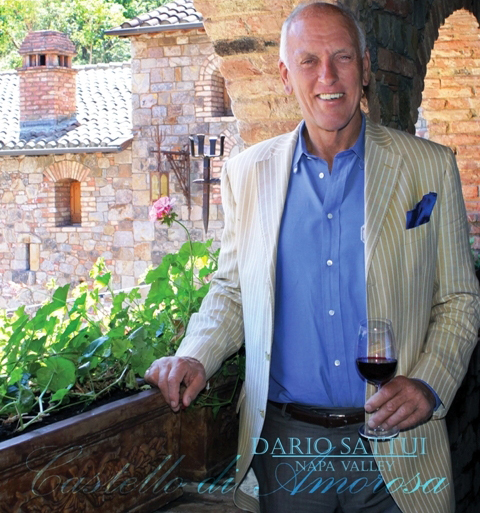 The Castello di Amorosa is a magical place built by winemaker and visionary Dario Sattui. 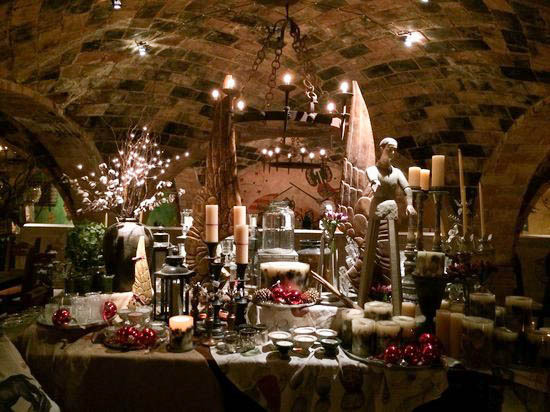 Every single, thoughtful detail transports its visitors back to medieval Italy. 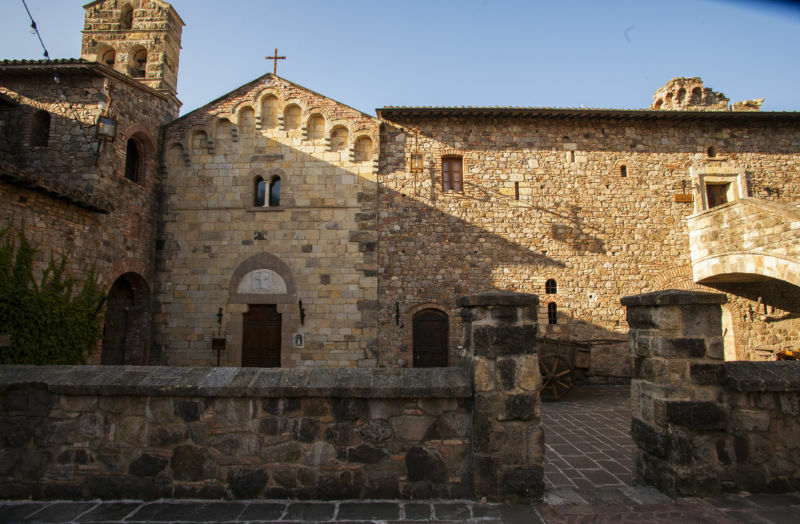 So that I don’t completely overwhelm you with information; I have decided to split my experiences at the Castello di Amorosa into a series of posts. In this post I am only going to talk about the tour. 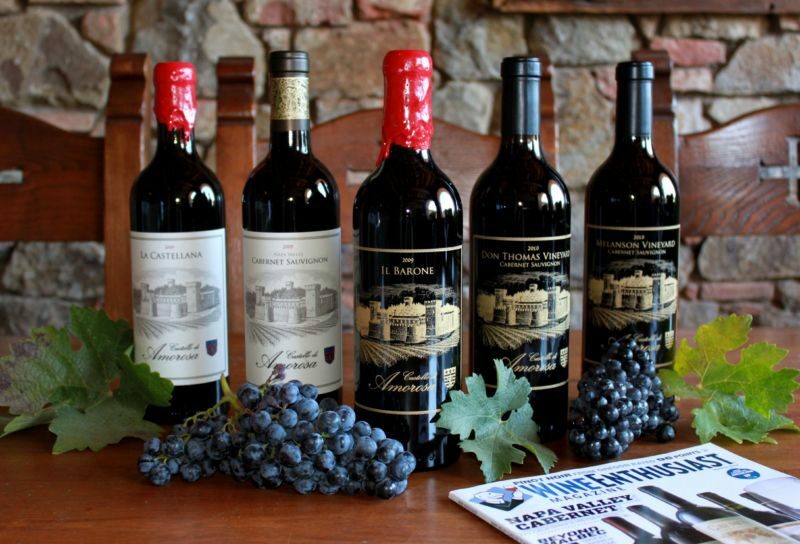 The next post will be about the tasting experience and the last post will be a special tasting of one of their flagship wines : the 2012 Super Tuscan Blend named La Castallana. One of the things that is interesting about the castle is that Dario designed it to look as if it was built over time, so it wouldn’t seem new. After all, there wasn’t heavy machinery back in the days that castles were built, so they took hundreds of years to complete. It would appear wrong if it all looked as though it had been built during a single time period; even the stone changes shape and texture. There are windows that were bricked in with the “expansions” to the castle. Having lived in Europe for twenty years of my life, I can tell you it is these little details which make it feel authentic, rather than some Disney version of a storybook castle. The Brit Comments: I concur, the variation in architectural style and the type of stones lends an air of apparent authenticity. Like most American tourism, the organization of the castle and its visitor focus is very impressive. It seems as though they have it all down to a fine science. Tours are frequent and they take just under two hours to complete. 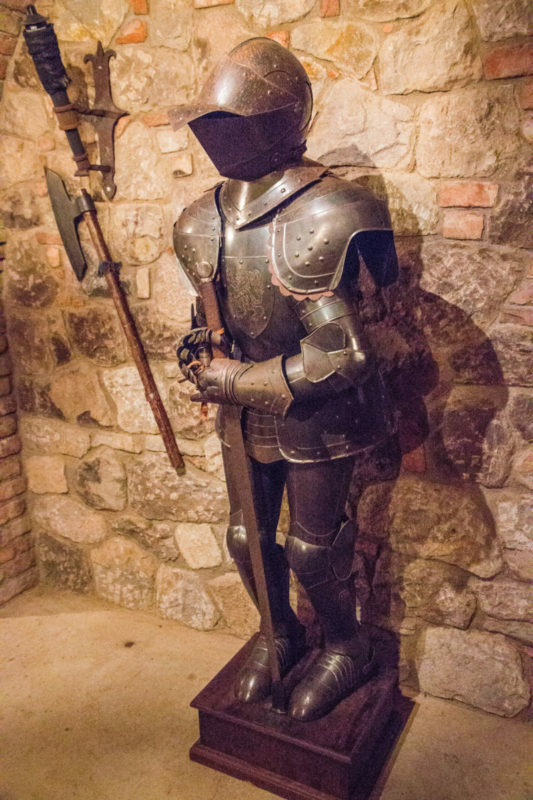 The first half of the tour is walking through the castle interior and learning about the wine making process. The second part of the tour includes education about and tasting of the wine. Our host Anthony pouring wine from the barrel. One of the things that I really loved about my visit was how much wine education they gave during the tour. My guide Anthony Makagy made sure that he gave everyone a basic tutorial about wine. Of all the winery tours I have experienced, I felt this would be the most helpful for novice wine drinkers. There were also great little bits of knowledge for an experienced drinker, like me. At no time did I feel bored or disengaged from the tour. It was delivered at the perfect pace, so that everyone could enjoy each sight. There was plenty of time for photographs and selfies (which are very important in this day and age). Barrels with the explanation of the AVA and soil types of where the wine is grown and sourced. Interesting. The tour starts in the beautiful and simple chapel. It’s a terrible shame, but regulations don’t allow weddings to be held in there. I hope someday that rules will change. Many brides would love to have their special day in this beautiful setting. 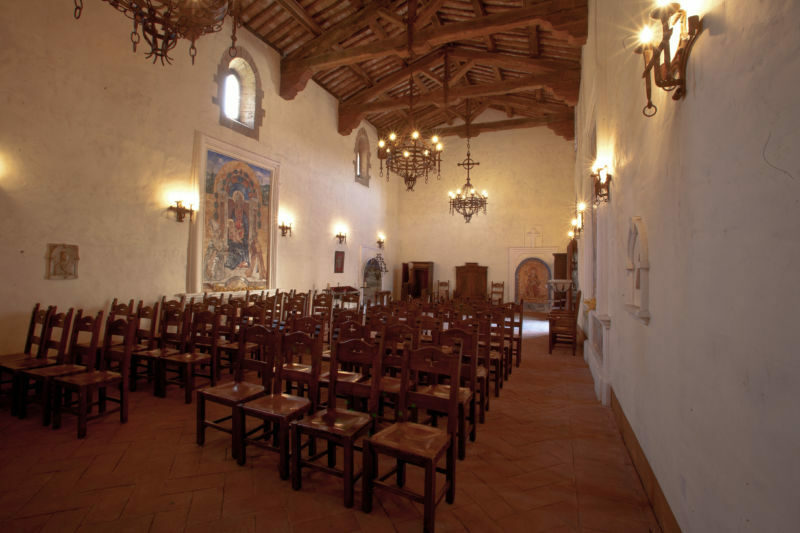 The stone floors and the gorgeous murals make the space feel sacred and serene. We then entered the Great Hall. 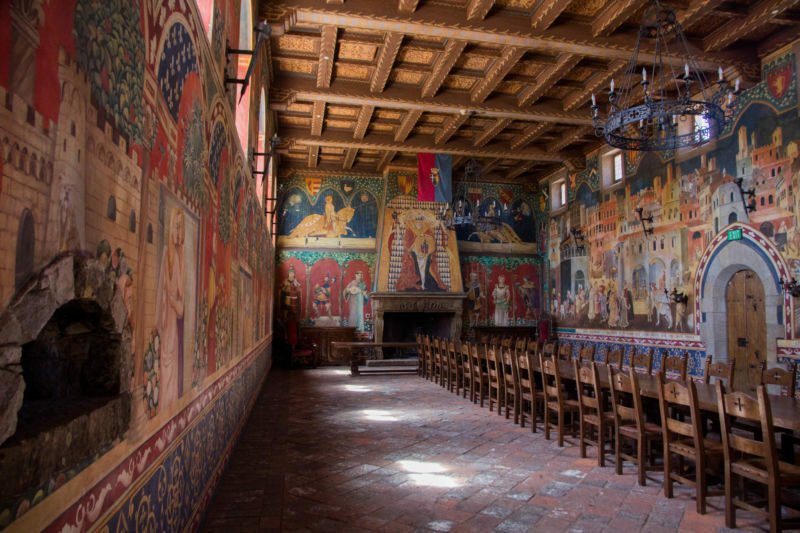 Here they have created murals depicting life in the middle ages. On one wall is a story mural, the other is simply decoration. I have seen similar rooms in places that I have visited, but here the colors are still vibrant and you don’t have all the fading, cracking, and breakdown that comes with age. In the center of the room sits a massive table. Gorgeous chandeliers also dominate the space. We then moved through the courtyards and upper hallways and come to the top part of the working winery. 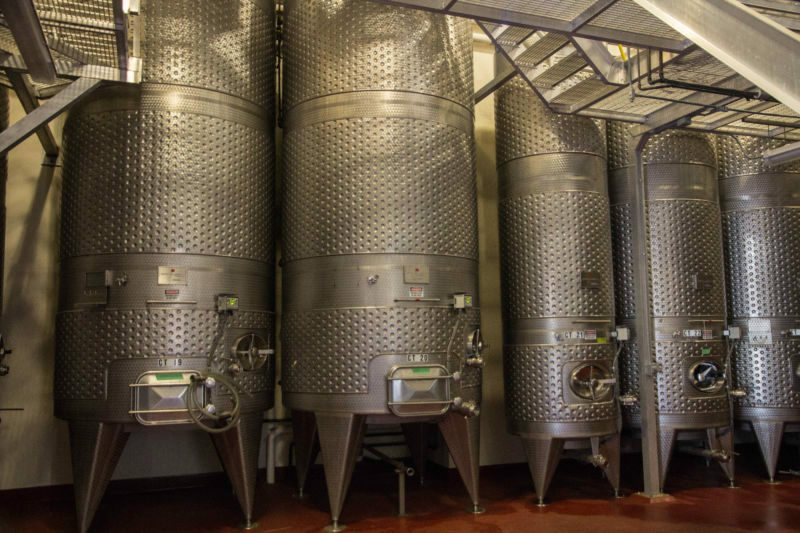 Here you see the huge steel vats where the wine is stored and the fermentation takes place. It is a very impressive operation, and you start to learn about the wine making process. Anthony was not only knowledgeable and friendly, but you could tell he was truly passionate about the wine. His enthusiasm and pleasant personality was wonderful. 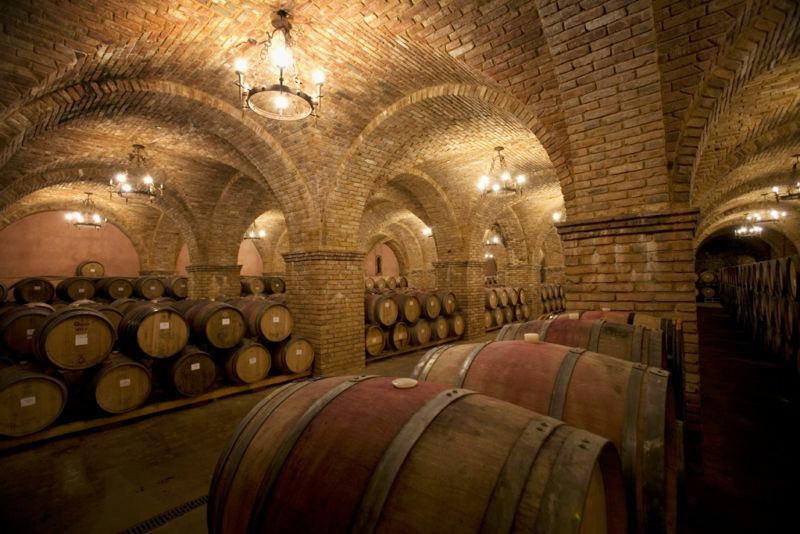 After this, you are taken down through the caves where the wine is stored in barrels and then bottles. 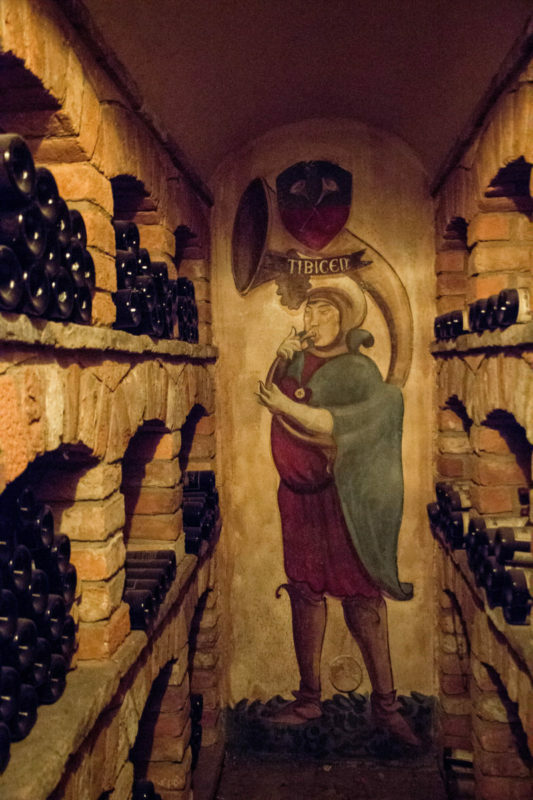 Again, you can really see the care and attention that was put into each detail; including little ante chambers which housed special wines, each with their own custom mural and artwork; such as you would find in true castles in Europe. The craftsmanship is truly amazing. 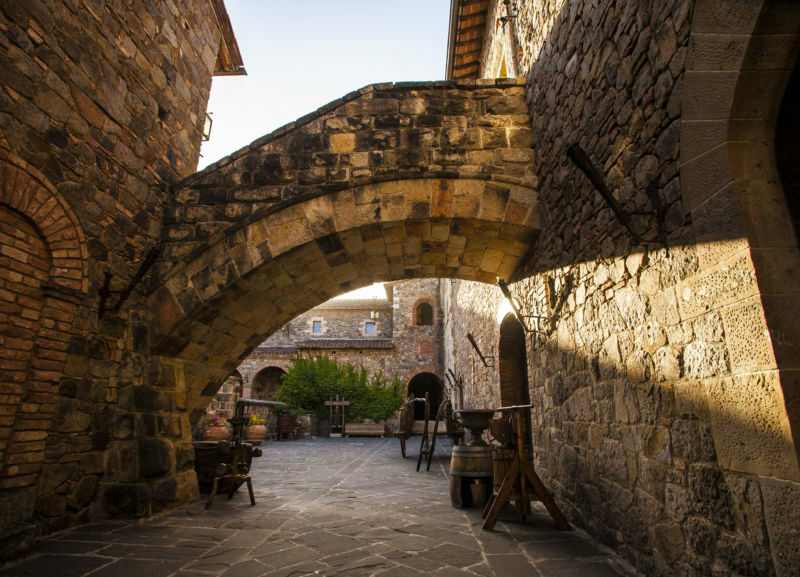 Castello di Amorosa Great Barrel Room – photo courtesy of Castello di Amorosa. Finally, to a much happier section of the castle; the Great Barrel Room. Here wine is resting and getting ready to bottle. 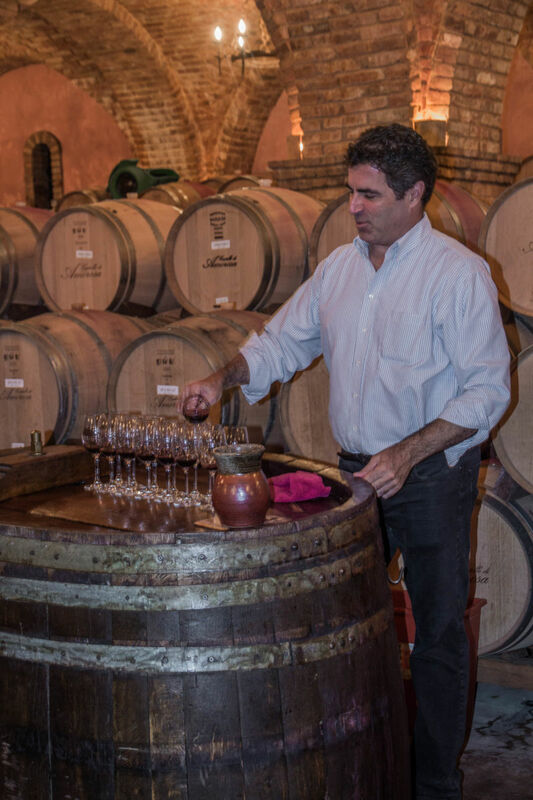 Visitors get a barrel tasting, which means they get to sip very young wine before its ready to be bottled. Whilst it has a rough taste, with lots of dryness and alcohol on the tongue, you can also taste what the structure of the wine will be and maybe even decide to invest in future barrels. The very last part of the tour is in the tasting room. You can, at this point, opt to pay an additional $10 for a premium tasting, or go with the standard 5 pours. There is a very wide choice of wine styles for every single taste. If you have a partner with you who is willing to share, you can choose 10 wines which is what we did. They even do sweet wines and dessert wines. This is really where you get a better understanding not only of wine, but your own likes and dislikes. They give you helpful score cards where you can write notes on each wine for possible purchases at the end. Anthony was there every step of the way, talking about the wine, how to taste it, and giving his tips to better enjoy the tasting experience. The end of your tour lands you in the gorgeous souvenir shop. Make sure you buy some of the special sea salt dark chocolate along with the wine they have for purchase. It’s outstanding. 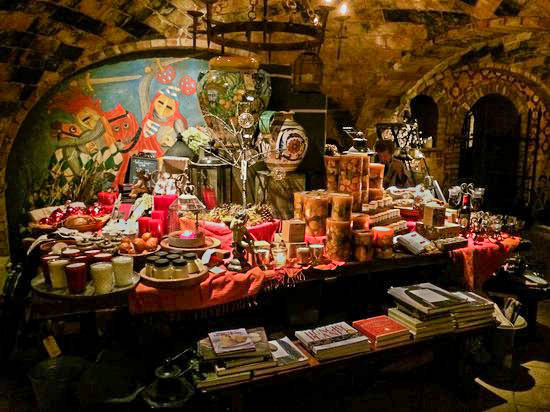 They also have all kinds of odds and ends from gourmet food, to wine accessories, and various wine related plates & trinkets. It’s a great mix of merchandise that spans three huge rooms and the exit hall. I thought the prices were reasonable and definitely in line with what other people in Napa are charging. They even have a great sale section for the bargain hunter like myself. As commercial as this place is, I loved the tour. It hits all the notes: educational, fun, spooky, whimsical, and of course drinking wine. I couldn’t honestly think of a single thing they could do better. The tour is pricey, but if you think about what you would spend on entertainment for that amount of time I think its well worth it. After all, most of the tasting rooms in Napa charge $25-$50 a tasting; so a tour, wine education, and tasting at $40 seems very good value. The photo ops alone are really worth the price of admission!